Methods of washing have been around for centuries, the first known form of washing clothes required the use of hands, this term is deemed hand washing and was commonly done in creeks, rivers, or oceans. Methods of Washing have since evolved in the civilized world, in modern times we have machines to do our washing for us. The first known washing machine was patented in 1691, though the use of hands were still involved, it was better than kneeling down into the closest water source. The earliest known washing machine was called a scrub board, This consisted of a wooden rounded tub with a scrubbing board packaged, this way individuals could scrub the dirt and grime out of their clothes. It wasn’t until 1851 than an american, James King, invented the first known drum washer. This washer was designed to resemble a machine but it was still powered my means of hands. The “Thor” was the first washing machine to run by means of electricity, this revolutionized the industry by subtracting the use of hand washing, Giving individuals more time to complete their day. This electric washing machine was patented on August 19th 1910, and was credited to Hurley Machine Company of Chicago, Illinois for it’s invention. 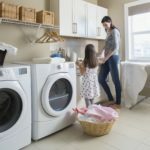 The market for electric washing machines sky rocketed over time and still exist today, with an added bonus. For those businesses need something bigger and better, the invention of Industrial Washing Machines were necessary. Industrial Washing Machines or for short Industrial Washers, these machines often have added components that are absent from commercial machines. These Industrial Washing Machines often have up to five different chemical injectors, these injectors are filled before use, subtracting the need for hand measuring the soap content. The liquid used in these machines are held in large Storage barrels with pumps inserted into each once. They are injected as needed into the washer to give a hands free experience, computer controlled models often give the operator the power to chose between varying wash and rinse cycles. 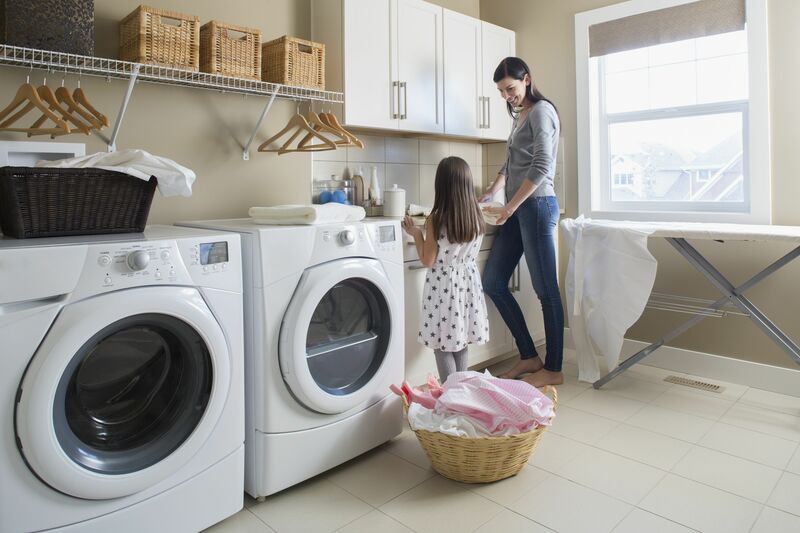 One added benefit of Industrial Washing Machines is sheer size, they are much larger than any commercial brand, they have been known to wash up to 800 pounds! Most of the Industrial Washing Machines available offer top loader models, Horizontal-Axis Machines, and may include the use of front or side doors for loading and unloading. These Machines are not only used for clothing material, there heavy build and size allows them to wash objects that would completely destroy a commercial model. Stone washing is one such material used, fabric dyeing and fabric bleaching are also common uses for the Machines. Industrial Washing Machines can be installed directly onto concrete and have heavy duty shock absorbers. Industrial Washing Machines often make a lot of noise and vibration, this is mostly absent in commercial machine use, it is forgivable given the extreme weight and capacity of the machine. Most places that have these machines are business owners or factory workers, where noise and vibration is a constant.